Red Sox history is filled with players, coaches, managers, and front-office types whose departure has been less than amicable. 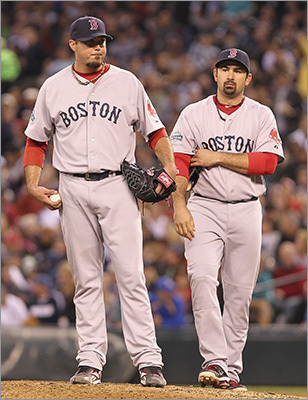 Now comes the news that the Red Sox have traded Adrian Gonzalez, Josh Beckett and Carl Crawford to the Dodgers. All three of them had their share of problems in Boston. Review a list of former Sox players, managers and coaches who had a bad breakup with the Olde Towne team.